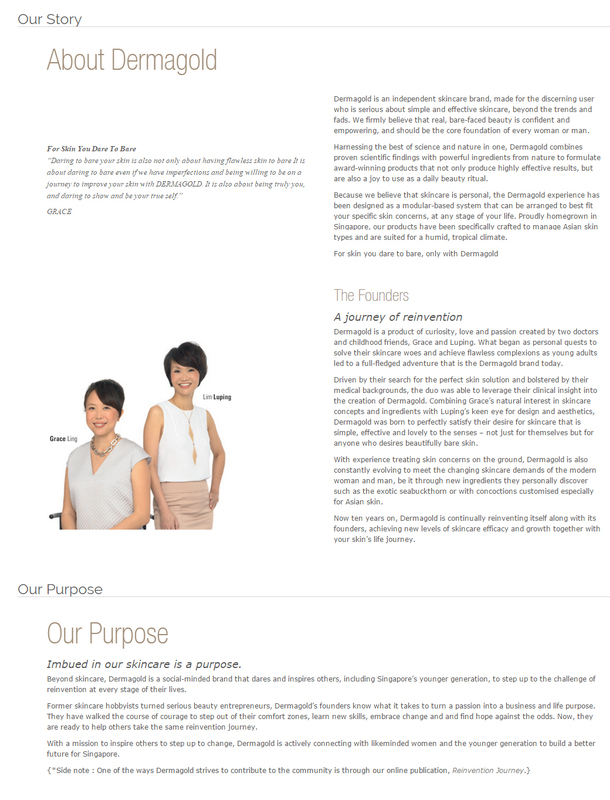 Dermagold is a local, Singapore brand that started out some ten years ago with a mission to help solve anyone’s skin woes with the combination of scientifically proven powerful ingredients from nature together with the knowledge and expertise gained from years of practicing in the dermatological field. 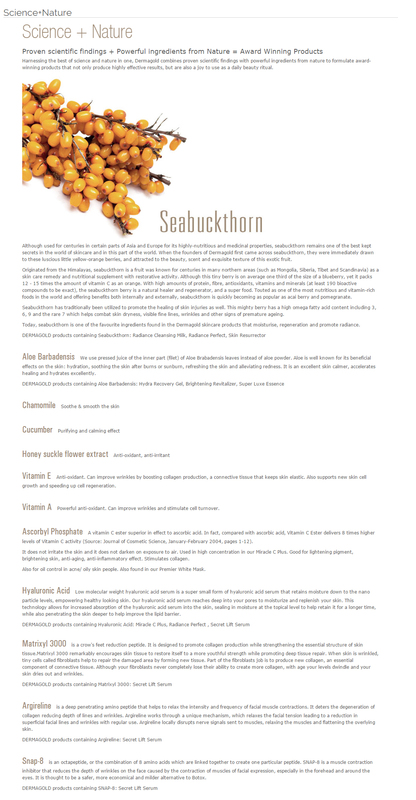 Their products were thoughtfully designed and crafted with love, passion, and facts. Suitable for all Asian skin types, DgO products are modular-based and can be used together as a regime, or individually supplemented into your existing routine for an added boost or targeted treatment. Personally, the brand isn’t all that unfamiliar to me as I have seen it being mentioned and featured in several magazines and some of my blogger friends has already been trying or already reviewed some products on their blogs or facebook page. 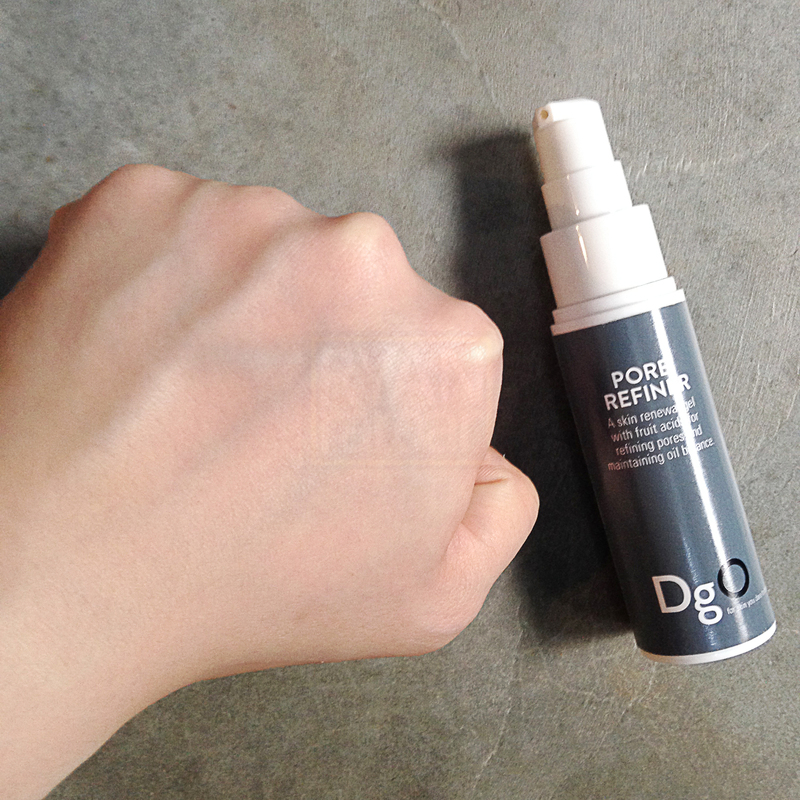 Coincidentally, while having lunch/tea with one of my blogger friend June from JuneduJour who happens to be using some of their products, decided to link me up with Dermagold to help with my then spotty and angry skin (thanks babe!). Weeks later, a lovely rep from Dermagold, Isabel, reached out to me and asked if i would like to try some products from their Men’s line which has just recently been launched. Of course I said yes and she kindly prepared two items from the Men’s line for me to incorporate into my existing regime. 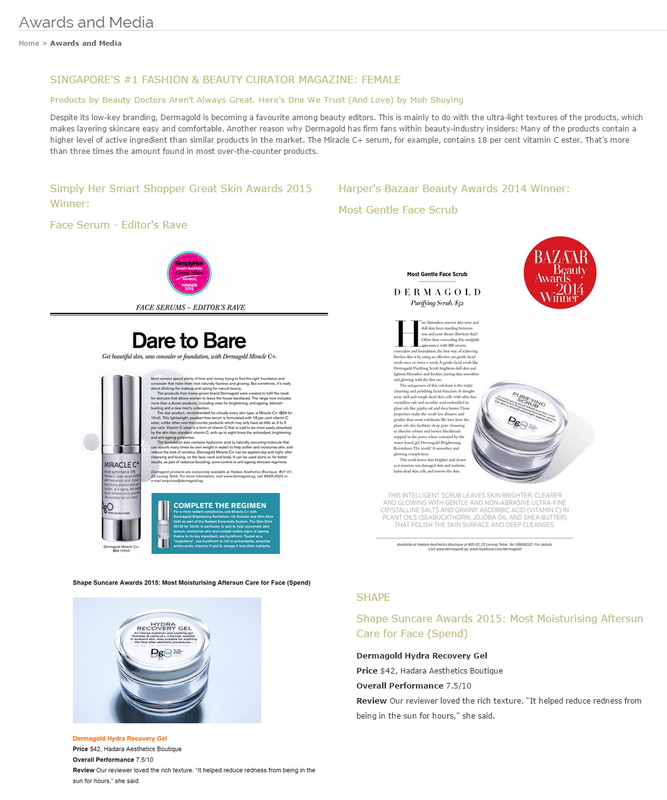 The products she picked out for me were the DgO Pore Refiner and DgO Skin Brightener. Now, being into the 6th week of using these powerful duo, I would like to share a little more of what i think of it. Before we go into the review, let’s understand a little bit more about the brand and their story! Alright, so now that those heavy texts are out of the way, let’s move on to the next portion – my experience and review! 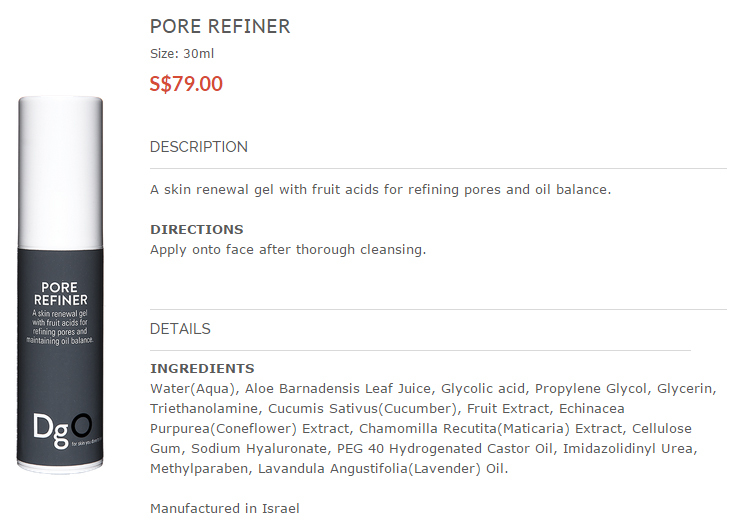 Personal take : I will be honest, immediately after applying the Pore Refiner, the skin does feel a tad sticky. I believe it is the thick-gel consistency of the fluid that caused that slight stickiness. 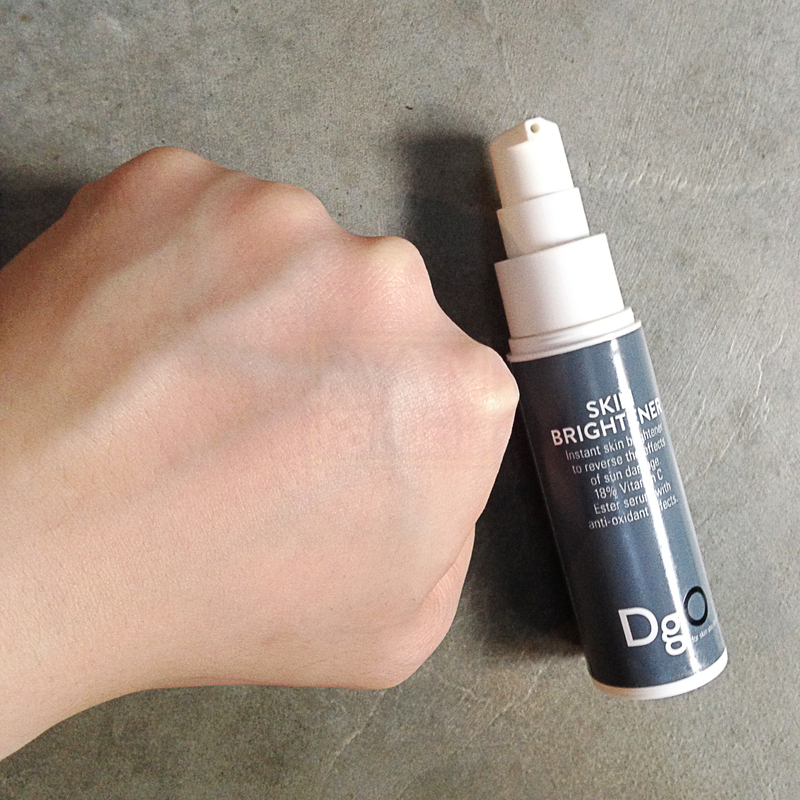 However, that stickiness immediately goes away after applying the Skin Brightener over it. The consistency of the Pore Refiner makes it so easy to apply and spread evenly across the face without any pulling or tugging. 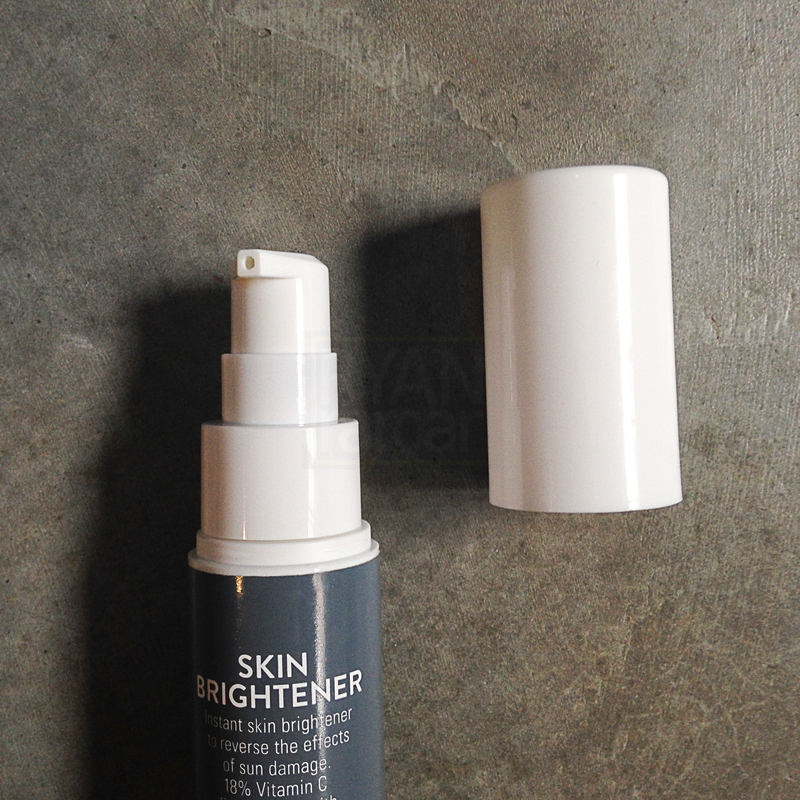 The Skin Brightener on the other hand, was even easier apply! Because it is almost like water, I simply squirt a pump of it onto my palm, rub both hands together and press the now warmed-up palms over my face. I like that the water-like fluid getting immediately absorbed into the skin without much effort. And the warmth from rubbing the palms together makes my skin feels so much relaxed when i pressed it against the face and seemingly allows the next skin care item – the moisturizer, to smooth over and goes deeper into the skin. Effectiveness wise, I do believe that the DgO Power Duo pairs up beautifully and worked synergistically. Firstly, the Pore Refiner with its exfoliative ability, gently dislodges dead skin cells and unclog the pores and prep them for better absorption of other skin care products. Then, the Skin Brightener with its lightening ability, is able to deliver its powerful whitening effect and improving the overall skin tone, post-acne marks and minor pigmentations. 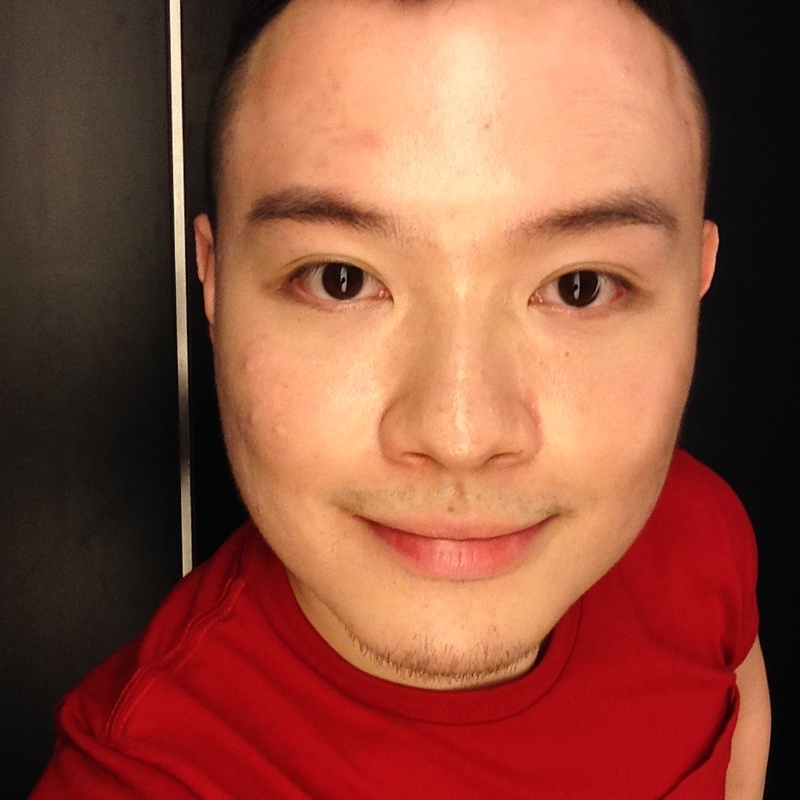 When used together for about 3 weeks on, my skin complexion actually looked a lot better, occurrence of pimples greatly reduced, and my friends all commented that I had a certain “glow” now. I guess that is the best testimonial that the Power Duo actually works! Will i recommend it? : YES! 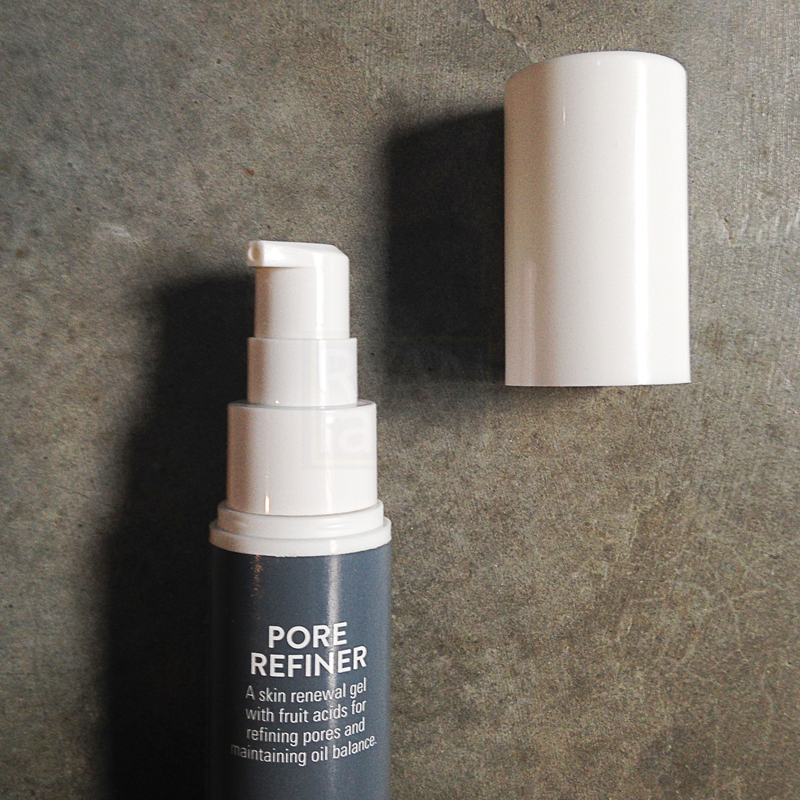 Especially the Pore Refiner. 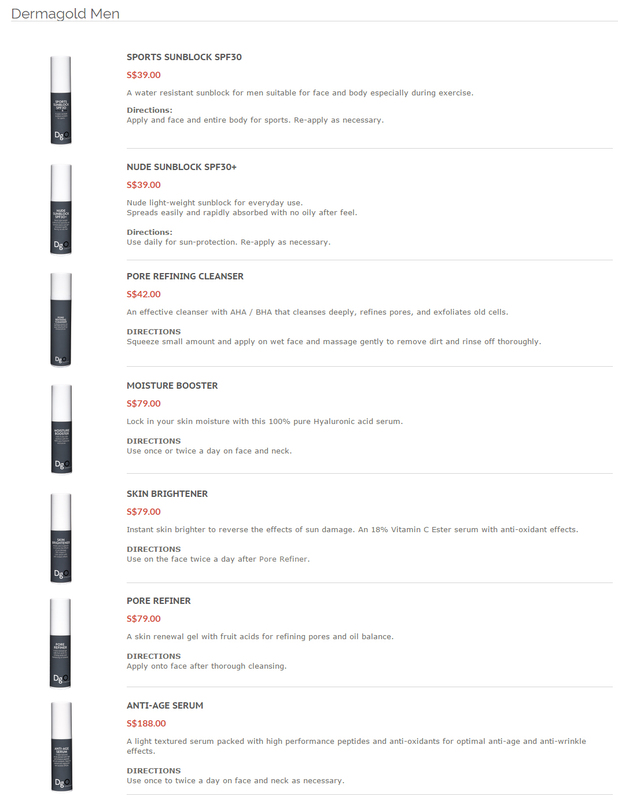 Now, if you are interested to try out these products, Dermagold has some great promotions for you! 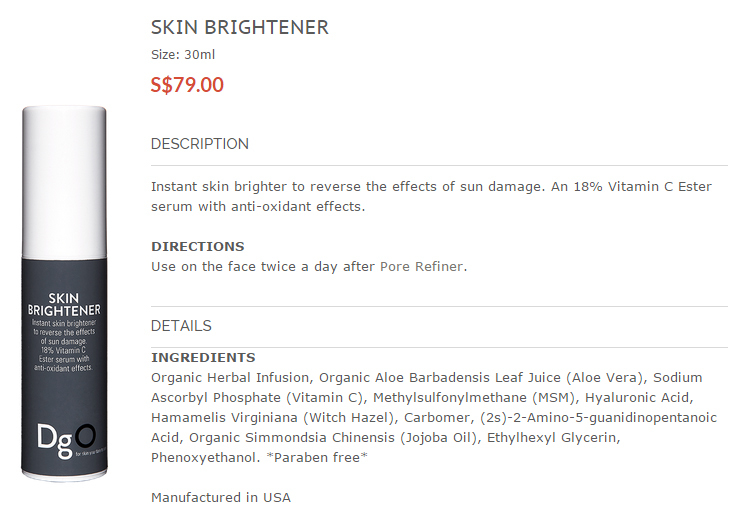 Purchase both Pore Refiner and Skin Brightener, and get a sunblock (u.p. $39.90) free! Purchase a minimum of 3 Dermagold MEN products and enjoy 8% off!